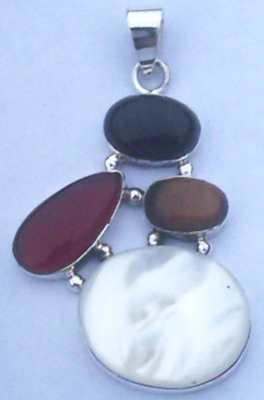 Elegant Sterling Silver Pendants created with Semi Precious Stones. 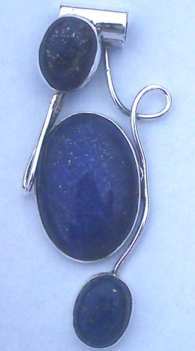 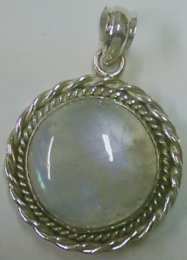 Our own designs of Quality Silver Stone set Pendants. 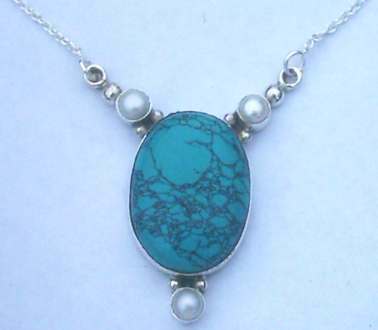 Including Turquoise, Rainbow Moonstone, Lapis, Tigers Eye etc. 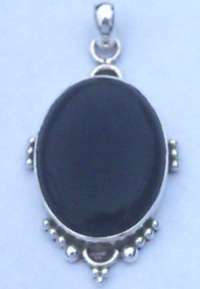 Unique exquisite designs of Sterling Silver Stone set Pendant Jewellery. 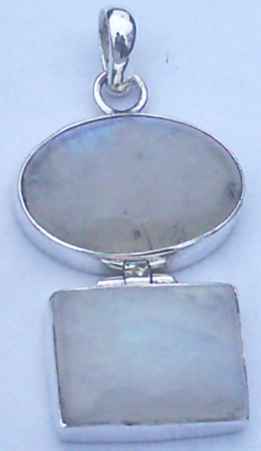 Double large Moonstone semi-precious stones set Sterling Silver drop Pendant.